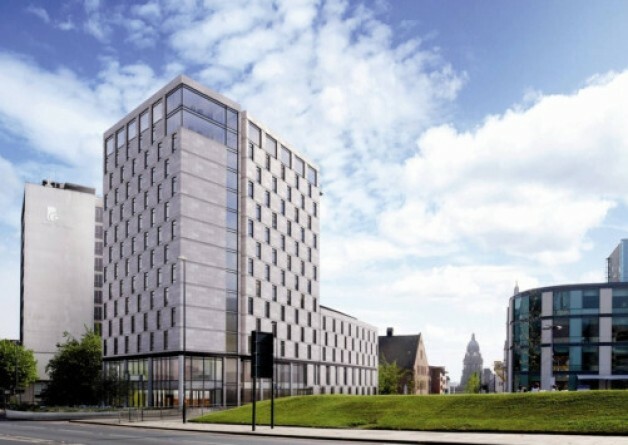 Construction of a major hotel in Leeds city centre that’s been stalled for 16 months could resume as early as August. Building at the site – on Portland Crescent near the leeds arena – ground to a halt in March last year after the original contractor and its development arm went bust, leaving the Co-op Bank and a local public-private partnership as the major creditors. The £32m scheme – destined to be run as a Hilton franchise – was part funded by £4.8m of public money, in the shape of a loan from the Leeds City Region Enterprise Partnership (LEP). A Leeds City Council report published today says that the Co-op Bank has decided to sell its debt and is in talks with a prospective purchaser, who has already met council planning officers. “If the prospective purchaser proceeds to buy the bank’s debt, it is hoped that work will recommence in August and that the construction of the hotel will be completed by November 2017,” the report says. If the sale goes through, will the LEP get its loan back? It’s not clear from the report. What it does say is: “… it is clear that the current value of the site will not provide sufficient funds to repay both the Co-op’s debt and the Council/LEP debt”. The report – the financial details of which are being kept secret – is going to be discussed at a meeting of the city’s main planning panel next Thursday (7th July). This entry was posted in News and tagged Co-op Bank, Hilton, leeds city council, LEP, local enterprise partnership, stalled. Bookmark the permalink. I never seen any explanation as to why public money was involved in the first place. Presumably if the figures were compelling enough for a global hotel chain such as Hilton to decide to build, they would have been able to raise finance without public funds.